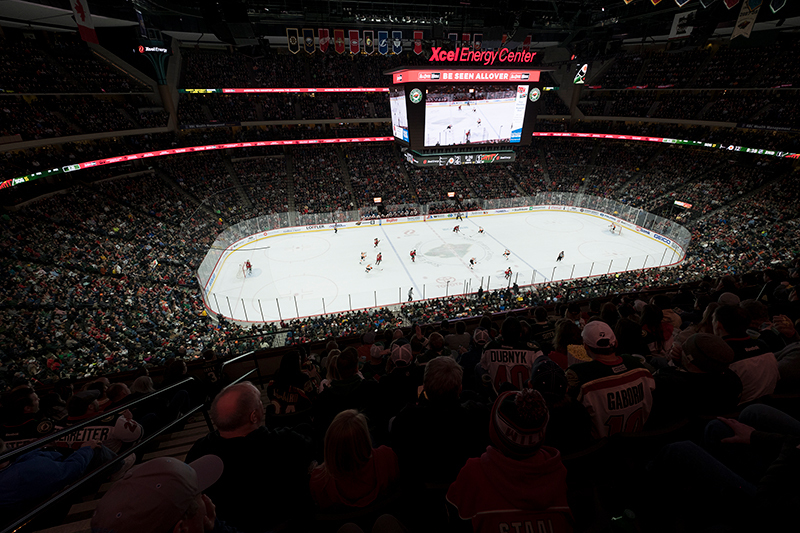 Xcel Energy Center—home of the Minnesota Wild—has been an NHL mainstay since 2000. 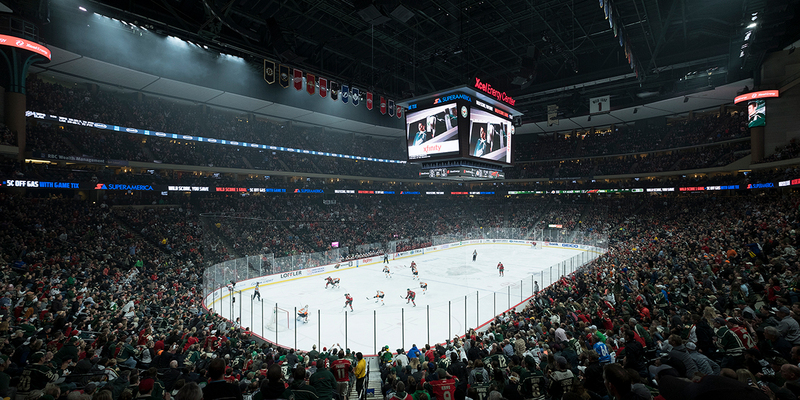 But as the NHL modified its light quality standards, and the venue continued to expand the variety of sporting and entertainment events it hosts, officials at the arena were looking for a complete, customized system that could meet its diverse lighting needs. 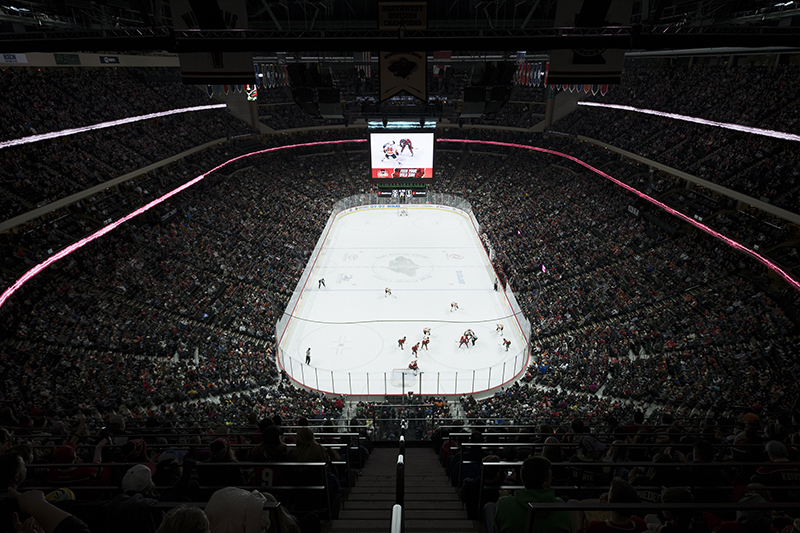 Those needs were met with the installation of Musco’s SportsCluster® System with Total Light Control™—TLC for LED® technology. 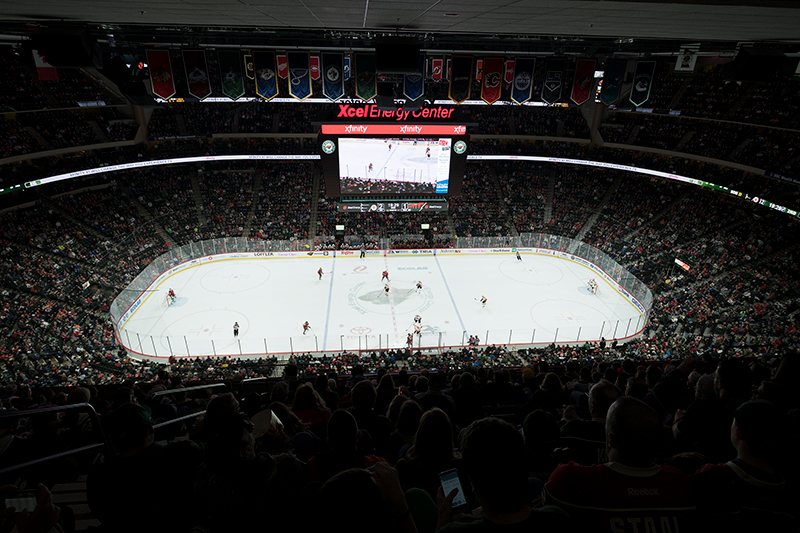 With TLC for LED in place at Xcel Energy Center, the overall arena experience is greatly enhanced for players, fans, and visitors, and facility owners will realize significant savings in both energy consumption and operating costs. Improved Visibility – Musco’s patented optics deliver more uniformly distributed light onto the playing surface and prevents glare from shining into the eyes of players and spectators. Efficient Controls – Instant on/off controls offer more efficient operations, and dimming capabilities allows the light output to vary when full power of the system isn’t needed. Special Effects – The system interfaces with a DMX control board for special effects lighting, and LED color-changing fixtures installed through a third party provide the latest in lighting entertainment. 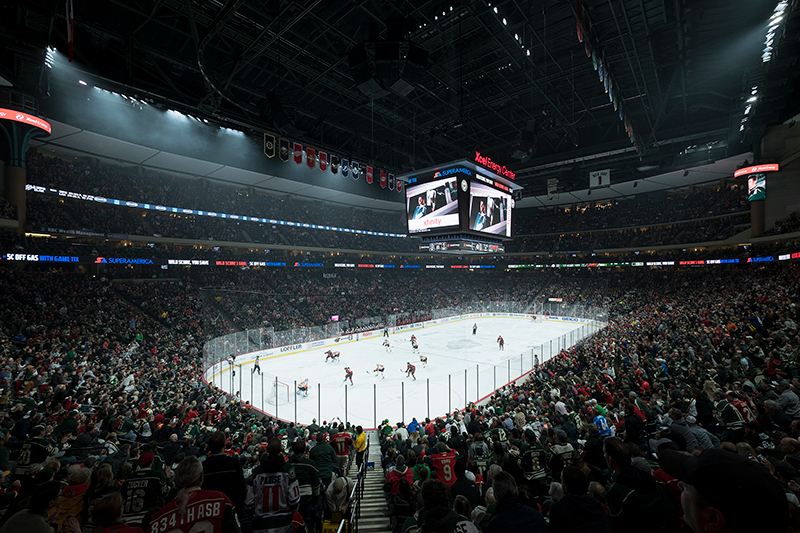 Enhanced Broadcasts – Superior light quality creates a stage-like atmosphere for spectators and eliminates the “flicker” effect during slow motion replay. 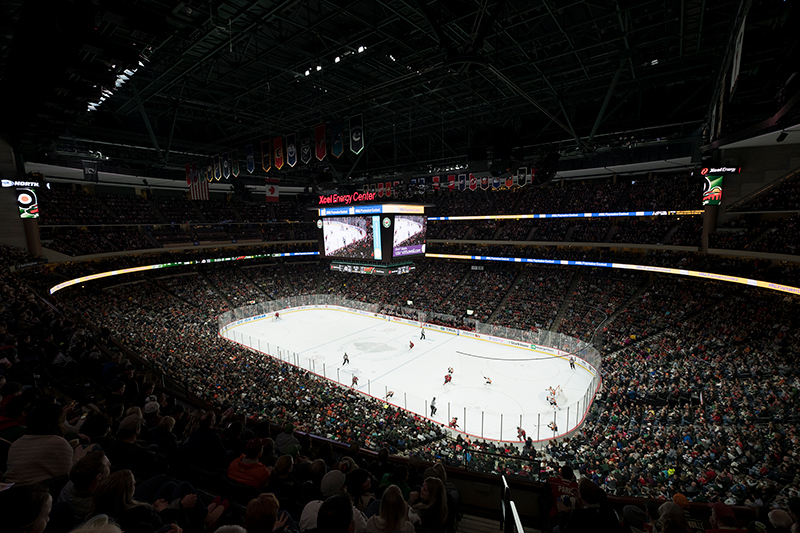 The system will reduce energy consumption at Xcel Energy Center by 63 percent compared to the prior lighting equipment when operated at full power. And Musco’s long-term parts and labor warranty, backed by a team of technicians, eliminates maintenance concerns and costs for the next decade.